Twitter has rolled out with new look with tons of new features. Now it is easier, faster, and richer to experience. New Twitter’s visual appeal is much user friendly. You can access @mention, retweet, search and list just above your twitter timeline. Right side of your account expanded and you can easily see What you have tweeted recently, Your followers and Who you are following, Favorites, Trending Topics, Who to follow Suggestions, etc. The very new addition of New Twitter is Related Content that expands on right side and shows additional information related to the author or subject. View photos, videos, and other media content directly on the Twitter. Older tweets get loaded automatically as you scroll down. So, that’s the New Twitter, but do you have noticed, that the Twitter bird is also changed. Espreson Media has designed the New! 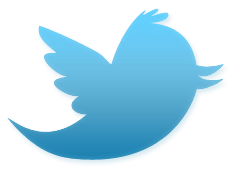 Twitter Bird and giving away to you for Free use. Give some love by just attributing Espreson Media for this work.